We could go on and on about what a benefit Gradelink can be for schools, but our customers say it best. Here are some testimonials and customer reviews from real teachers and administrators that use Gradelink.
" I love how student info, emergency info, grades and communication to administration are all in one place. It is easy and convenient to use." "Gradelink allows us to do many different things and not have to learn multiple programs." "For me, the best part about gradelink is they are always working to improve their platform, and in terms of customer service, there is absolutely no one better!" "This software is undeniably the best in streamlining data processing of the school. It actually eliminates tedious task of combining the lesson plans and standards and it makes the grading easier than ever. Communication with the parents is also perfect and the students can easily access and check their academic performance." "Gradelink has made generating report cards and transcripts easy. I would highly recommend Gradelink to another school looking for an online grading and information system." "I like that Gradelink is the most intuitive electronic grade and information system that I have ever used. I have been teaching for 19 years." "As Head of the Lower School, this system provides me with easy access to every student, family, and classroom. There are many useful components, and in our third year I feel that we are still discovering ways to use Gradelink. To have lesson plans, parent communication, family info, and grading all in one place has made my job much easier! Thank you, Gradelink!" 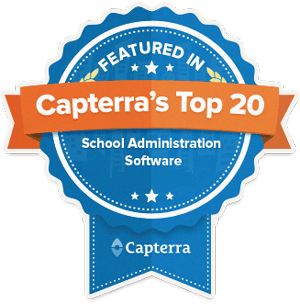 "This program makes it so simple and easy to keep track of class grades, attendances, etc"
"Gradelink is so user friendly for me as an administrator and for parents. When I don't know how to do something I call tech support and they solve my problem and answer my questions in 5 minutes or less." "Gradelink has completely changed the way our school operates - for the better!" "Our overall experience with Gradelink to date has been exceptional. The software is well designed with a clear understanding of an educator's need. Furthermore, I am most impressed with the quality of customer service and support I receive. Your technical reps are knowledgable, courteous, and professional. They clearly communicate solutions to any questions I pose." "Gradelink is always easy to work with and very responsive when I need help. Would highly recommend!!!" "Overall the program is so complete and has so many great tools to make my job easier as a school secretary. Parent involvement is so easy too because you can give them a log in to access their child's account and see their progress and attendance. What else can I say? We truly enjoy using the program here at our school and was recommended to us from other schools around the state!" "Online payments boosted our revenue." "It has made the enrollment process much better for the parents and us."